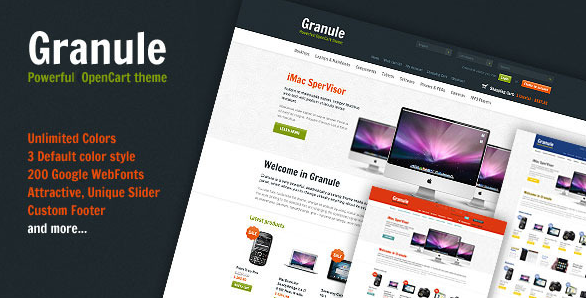 Granule is a powerful theme made especially for OpenCart 1.5.1. It offers a clean design, easy to navigate layout, integrated facebook comments (in place of standard opencart comments). It has 3 base colour skins built in and it gives you the opportunity to change many of its colour settings via user friendly, easy to use admin panel.